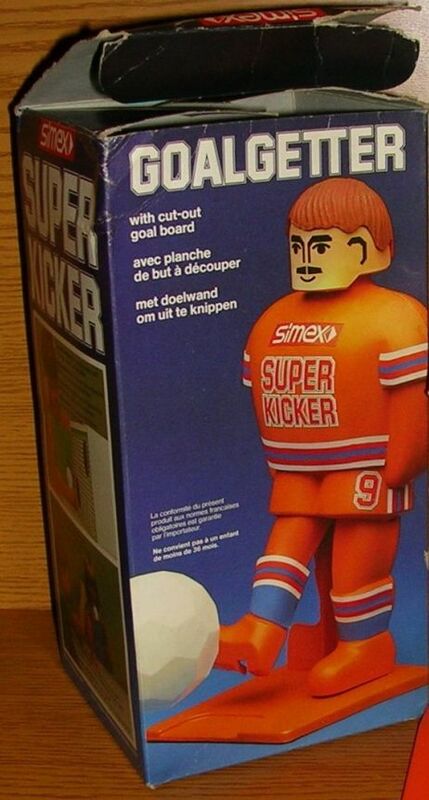 Another footballing superhero with dashing good looks and an ego the size of the Ruhr Valley. This chap is from Germany so has probably never missed a penalty in his life. A German legend in his own lederhosen. 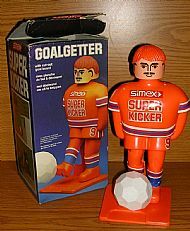 Muller, Klinsmann, Voller and now Goalgetter Super Kicker! 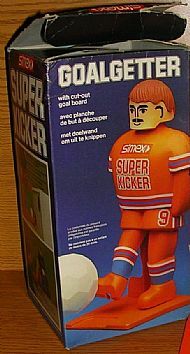 A nice box with of course a big hero shot on it - and a card goal to cut out! 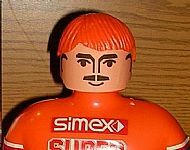 Immaculate tash, immaculate fake tan only the mullet needs a little work.